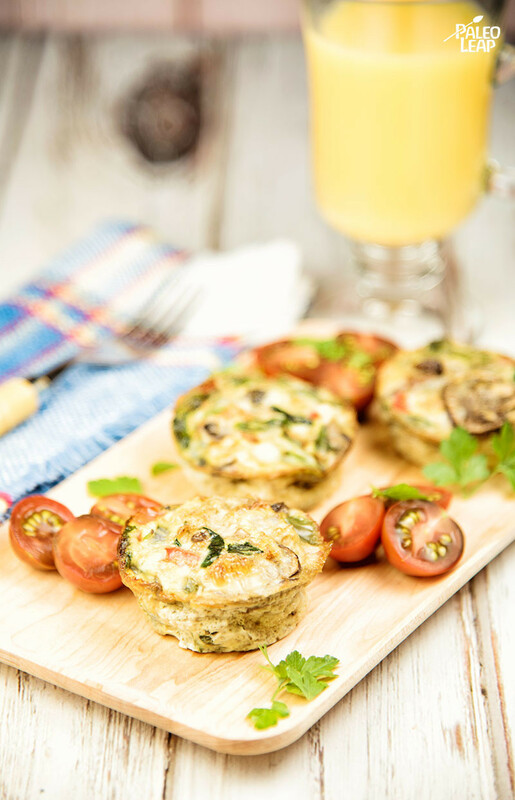 These finger-friendly “muffins” are the perfect way to whip up a big batch of eggs and vegetables to go – they’re great for quick breakfasts, lunches, or snacks on the run. Make a bunch on the weekend and stash them in your fridge for emergencies. But baked eggs are also great for a weekend morning: sometimes you’d rather have something easy and relaxing than a lavish brunch that takes you an hour to get ready. The mix of vegetables here is a pretty classic omelet mix, but you could always make whatever substitutions you like: batch-cooked eggs like this will absorb all kinds of leftover vegetables. Once you’ve made the recipe as written a couple times, give them a new tweak with leftover vegetable curry or Brussels sprouts (if you’re using pre-cooked vegetables, you don’t need to cook them again; just add them to the beaten eggs). If you’re making these for kids, a mini muffin tin can be a nice way to resize them – do everything the same, but just divide the beaten eggs among the mini muffin cups instead of full-size ones. You can use liners if you like the way they look, but they’re not really necessary: a well-greased muffin tin shouldn’t give you a problem with popping out the eggs. Bring on the bacon fat, and enjoy the delicious extra flavor in your healthy version of Paleo to go. SERVES: 4 PREP: 20 min. COOK: 30 min. Melt some cooking fat in skillet placed over a medium-high heat. Cook the onion, bell peppers, and garlic until soft and fragrant, about 5 minutes. 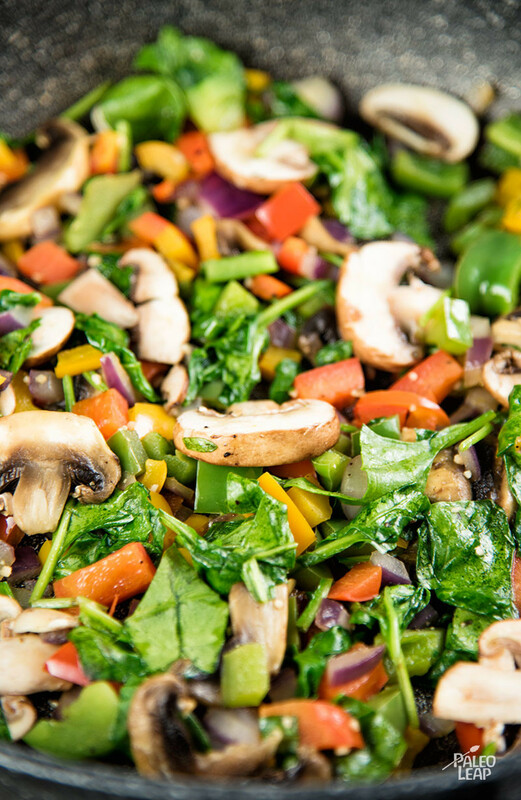 Add the mushrooms and spinach and cook for another 2 to 3 minutes. Season everything to taste. Whisk the eggs together in a big bowl, and add the bell pepper & spinach mixture. Grease a muffin tin and pour the mixture evenly into the muffin cups. Place in the oven and bake for 20 to 25 minutes.